Whip up ATHENOS Mediterranean 7-Layer Dip for your family and friends. 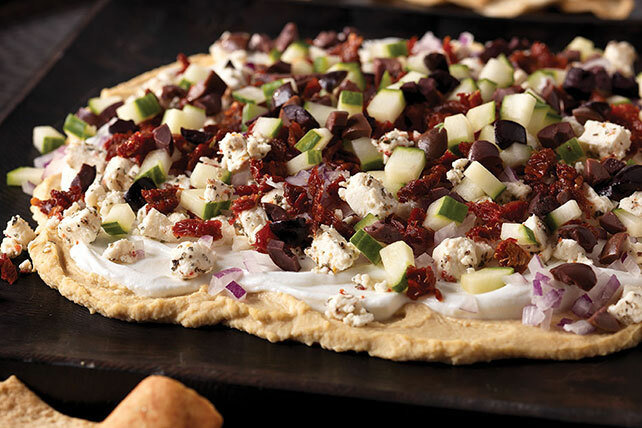 This Mediterranean 7-layer dip features feta, olives, hummus and more. Top with layers of all remaining ingredients except chips.